These perfectly legal fees are buried deep within the verbose agreements between vendors and consumers—agreements that few people fully read or comprehend. The end effect, Fergus argues, is a massive transfer of wealth from the many to the few: large banking corporations, airlines, corporate hotel chains, and other entities of vast wealth. Fergus traces the fee system from its origins in the deregulatory wave of the late 1970s to the present, placing the development within the larger context of escalating income inequality. He organizes the book around four of the basics of existence: housing, work, transportation, and schooling. In each category, industry lobbyists successfully influenced legislatures into transforming the law until surreptitious fees became the norm. The average consumer is now subject to a dizzying array of charges in areas like mortgage contracts, banking transactions, auto insurance rates, college payments, and payday loans. The fees that accompany these transactions are not subject to usury laws and have effectively redistributed wealth from the lower and middle classes to ultra-wealthy corporations and the individuals at their pinnacles. 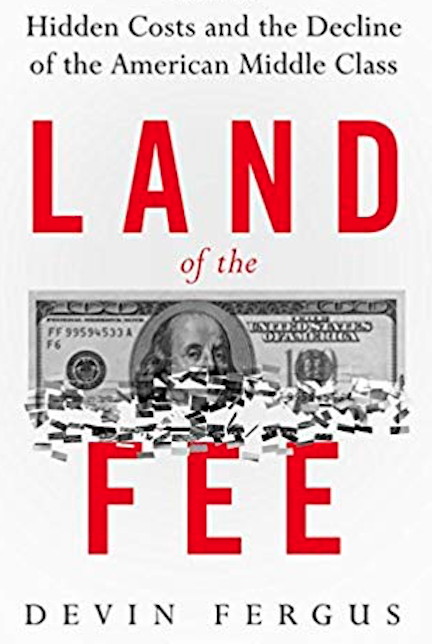 Shining a new light on this predatory and nearly invisible system of fees, Land of the Fee shows how "the poor pay more" and offers a believable hypothesis on how it has built wealth inequality in America.